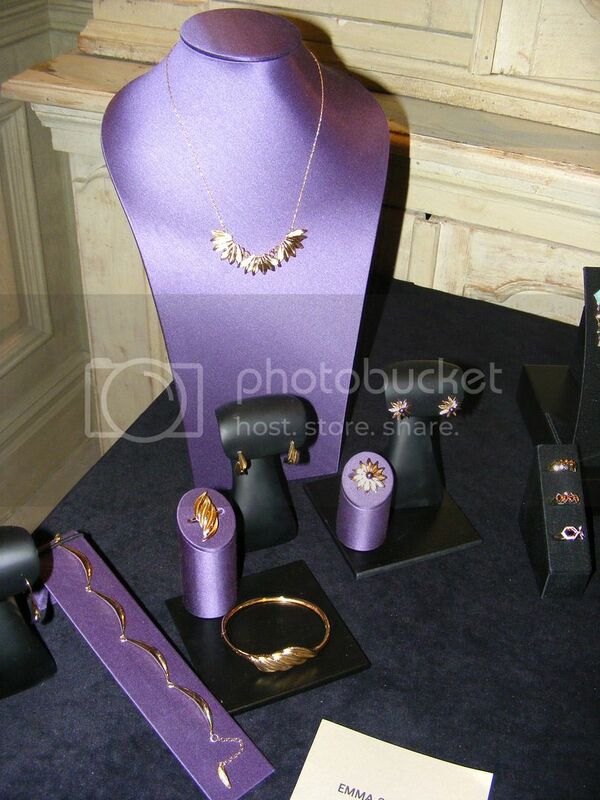 On Thursday, QVC held an event at The Soho Hotel to showcase some of their jewellery and to get to know some of the Jewellery Designers. Now, jewellery is actuallyl my favourite thing EVER so I was super excited to see some pretty, shiny pieces, and QVC did not disappoint. The great thing about what QVC do is that they support up and coming British Jewellery Designers and help get the jewellert shocased, noticed and sold. 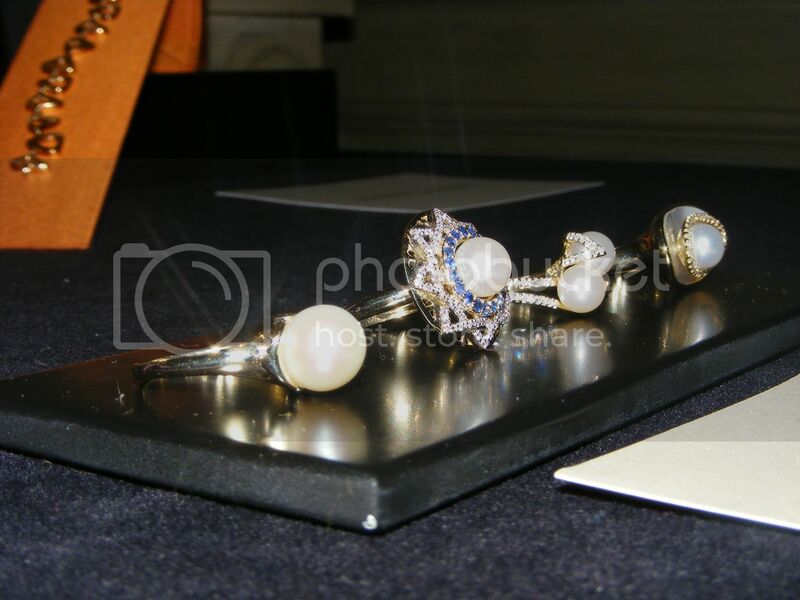 We were met by the lovely PR team and some delicious looking food and were given the chance to look round at all the jewellery from the various different designers. Here are a few of my favourites from the evening. 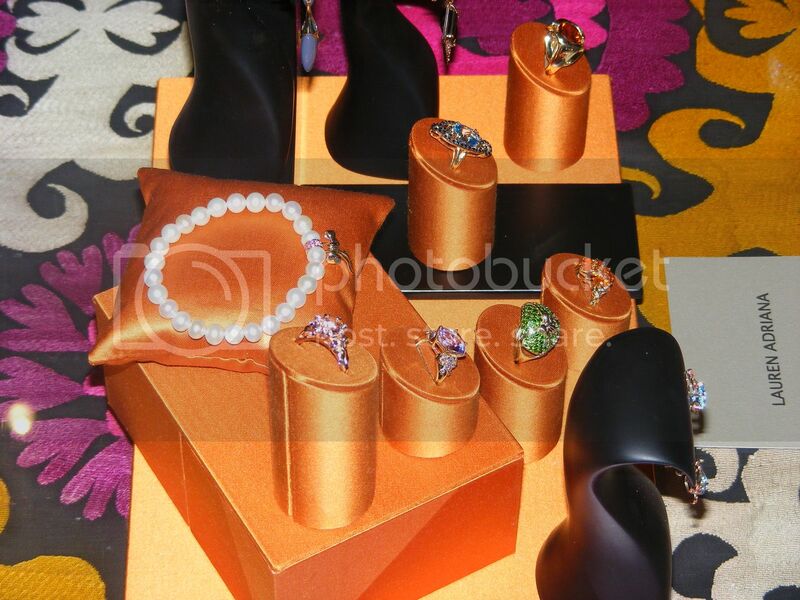 Tomasz Donocik had some stunning pieces, all with bright gemstones and 9 carat gold. I loved the colour in these rings and would buy them in a heartbeat if I could! 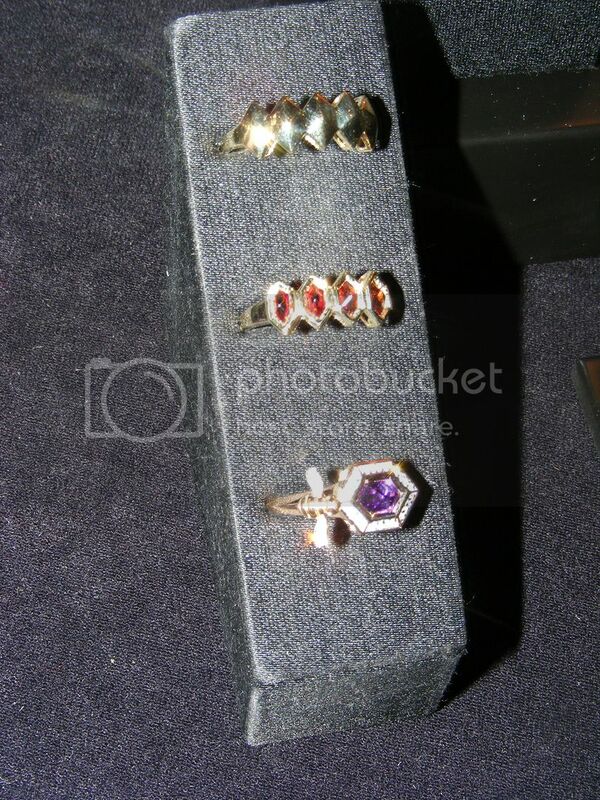 My favourite is the Amethyst ring, which the the last one in the picture. Leblas was definitley a highlight. The designer is Spanish born and took a lot of inspiration from her Mediterranean roots. 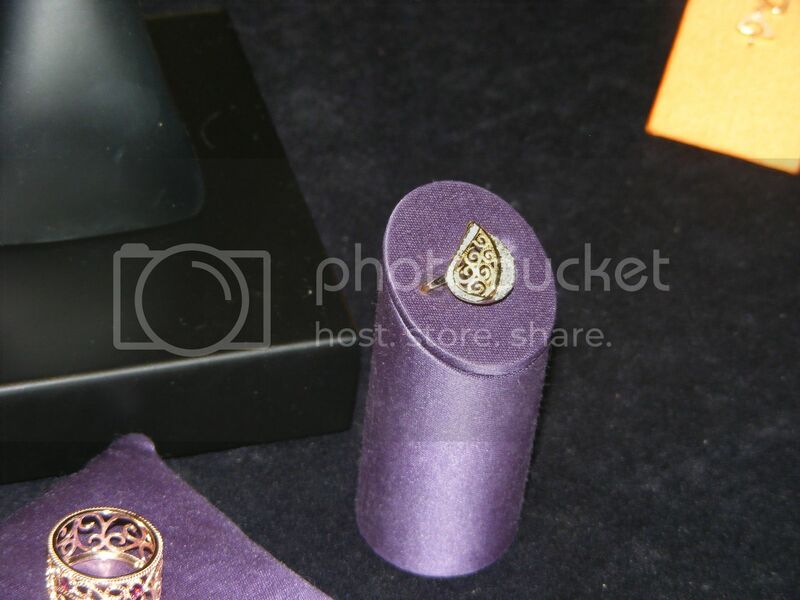 I love the unique design of these pieces, especially the ring int he second picture. These pieces were definitely a true work of art. SHO's designer, Sarah Ho, really designed some stunning pieces here. I love pearls and I love how she incorporated them into her jewellery in a wearable way. I thought these rings were absolutely stunning, especially the second one across. Lauren Adriana was one of my favourites. She has a diploma in Gemmology, so a lot of her jewellery contains gorgeous stones, such as diamonds and sapphires, which are my favourite types of jewellery as well. The designers were also doing a few speeches, but sadly, I had to miss most of those as I had a wedding to rush off to. This event was so much fun! Everything was so gorgeous! It looks like it was such a fun event, too bad I don't live locally as I would deffo have popped along. Love the summaries of your fave collections. 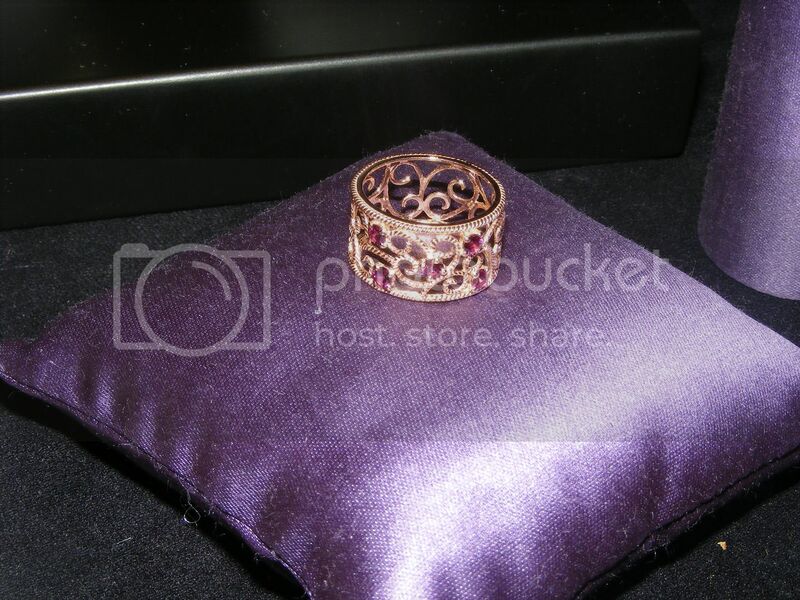 I love Leblas jewelry, it looks gorgeous. It's exactly something I or my mother would wear. So many beautiful pieces here. oohh these look very nice. i wouldn't really think of qvc as a place to spend my money. but they definitely have some nice pieces. Sarah Ho's pieces are really stunning.. Wow... Amazed! such a awesome event. those jewelery are just amazing. i like the bangle on the purple pillow.. The jewels in the last set look fabulous!